Stainless Steel is not just one metal but a blend of iron with other metals, producing a range of corrosion resistant and high temperature steels. Stainless steel is a versatile material and can be used in many different applications. It is simple to keep clean, preserves its sheen and is also long lasting. It is 100% recyclable. Some stainless steels are magnetic, others not. Austenitics are the most typical variety of stainless steels. They are regarded as non-magnetic but might have a certain degree of magnetic response based on the way they happen to be produced. Martensitic stainless steels have corrosion resistance similar to austenitic varieties, but are capable of being hardened to even greater strengths. Stainless steel is a generic term for many different steels employed mainly because of their anti-corrosive properties. It’s easy to clean, tough, inert and hygienic. It is an extremely hard material that cannot be resized or changed once moulded and it is probably the most durable material obtainable for a variety of household and also commercial purposes. Canopy Hoods or extraction canopies are often (though not always) made from stainless steel. These hoods are used to vent types of fumes such as heat, steam and odors from large or bulky cooking apparatus such as ovens and stoves. They generally have three main parts: a skirt or capture panel to contain the rising gases, one or more grease filters, and a fan of some kind for forced ventilation. Hoods can be installed on a wall or suspended from the ceiling for island cooking areas. Coupled with a blower and ductwork, extraction canopies can operate at a wide range of exhaust rates. These vent hoods can be custom designed to suit your kitchen. They provide excellent capture and ventilation of grease, fumes, and odors. Commercial kitchen exhaust hoods are a vital part of commercial food preparation areas and the necessary ventilation systems but their importance is often underappreciated. Extraction canopies often have high-powered fans or blowers to remove greasy fumes, smoke and odors to improve the air quality inside your kitchen and reduce temperatures. This also reduces humidity which is important because this can encourage mold, mildew and bacteria growth, a big no no for health codes. 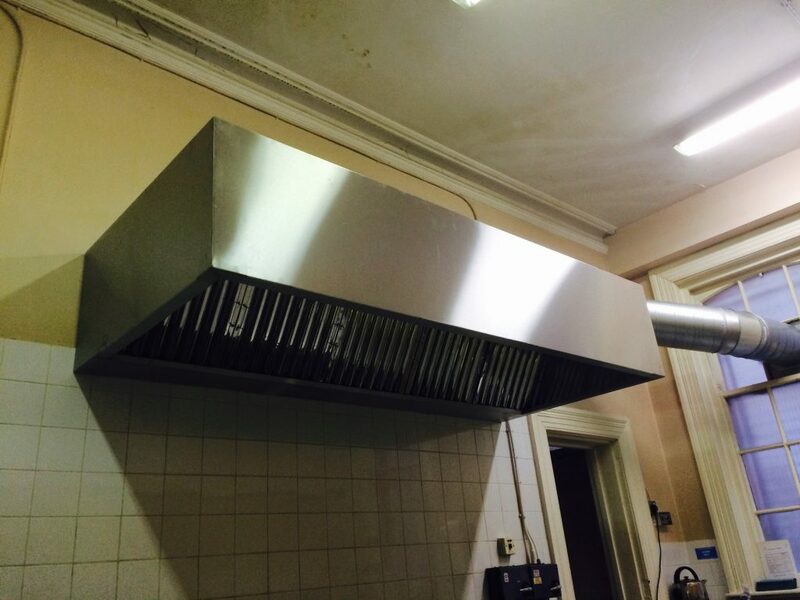 If you’re setting up a restaurant kitchen for the first time, or renovating an existing kitchen, the commercial kitchen exhaust hood is an important item to consider. It’s important to match the exhaust canopies or vents to the layout and operation of your kitchen to create a clean air environment for your patrons and staff. Commercial vent hoods can also be combined with a replacement air fan that brings in air from outside, mixing it with the cooking fumes, to freshen the air in the kitchen. Extraction canopies can also contain filters to remove odors and grease.